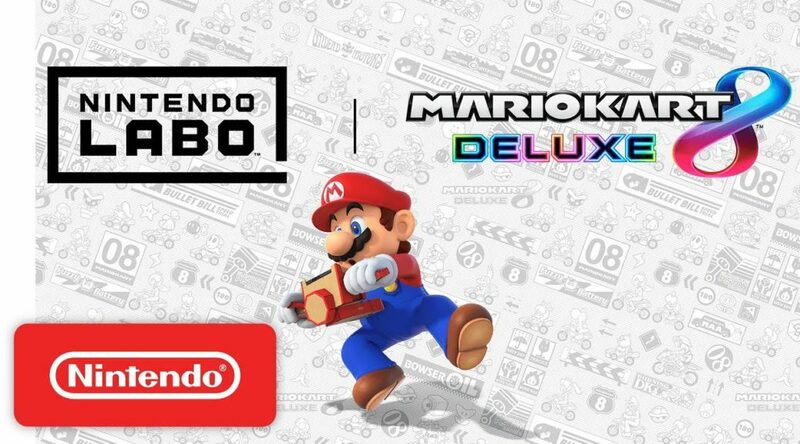 Nintendo has released a free software update for Mario Kart 8 Deluxe today, bringing Nintendo Labo compatibility to the best selling racing game on the Nintendo Switch. REDMOND, Wash.–(BUSINESS WIRE)– 3 … 2 … 1 … Nintendo Labo! Starting today, a free software update is available for the Mario Kart 8 Deluxe game for the Nintendo Switch system, allowing you to use the Toy-Con Motorbike from the Nintendo Labo: Variety Kit to control your in-game vehicles. Enjoy every game mode and every vehicle type with this immersive, interactive controller option that makes you feel like you’re really in the driver’s seat! Click here to view a preview video of the new feature.